Much brighter than expected from 1 led bulb. 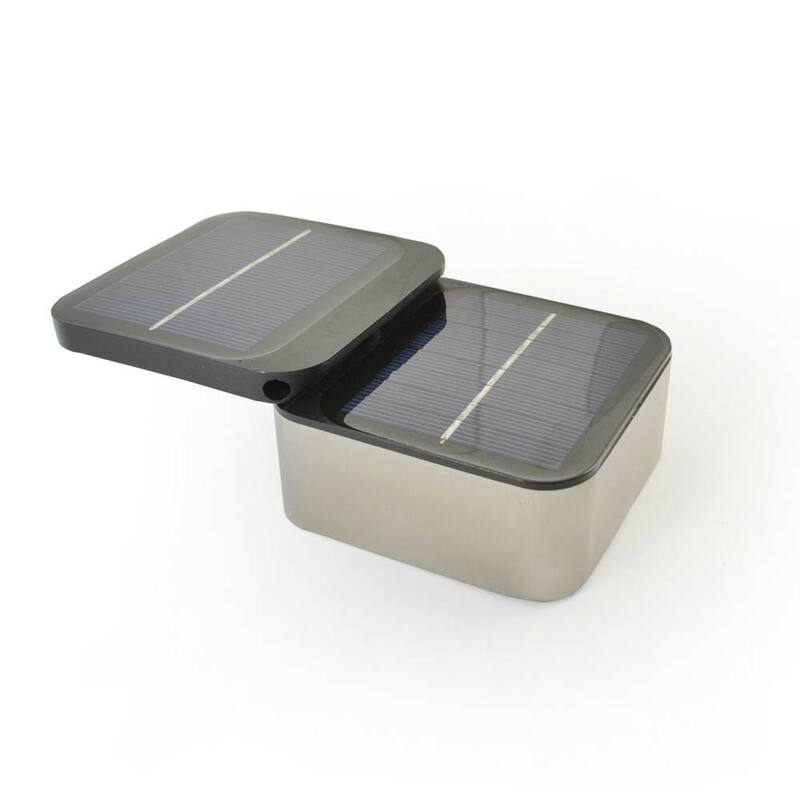 Like the doubling of solar panel to charge as much as possible. Have been a lover of solar lights for a while now. However always disappointed that after a year or two they stop working and during winter months they barely give an hours worth of light...that is until I found the Solar Centre. The light construction is unlike any others I have tried and this means that they are less susceptible to water penetration (the main reason previous lights have failed). I currently have lights from Solar Centre in my decking, path finders, lights in a front flower bed and these, my latest acquisition, for the outside of my shed. I have been using the previously purchased lights during the winter months and have been more than impressed. Sure these lights cost a bit more than perhaps other retailers but their quality, performance and longevity means the extra expense is well worth it. Come well packaged with easy to follow instructions and free postage! What's not to love? I recently bought 4 of these to backlight driveway / path entrances. Much easier to mount than previous lights; charge has lasted well (all night) so far on power-save mode; illumination is good; construction looks to be high quality. 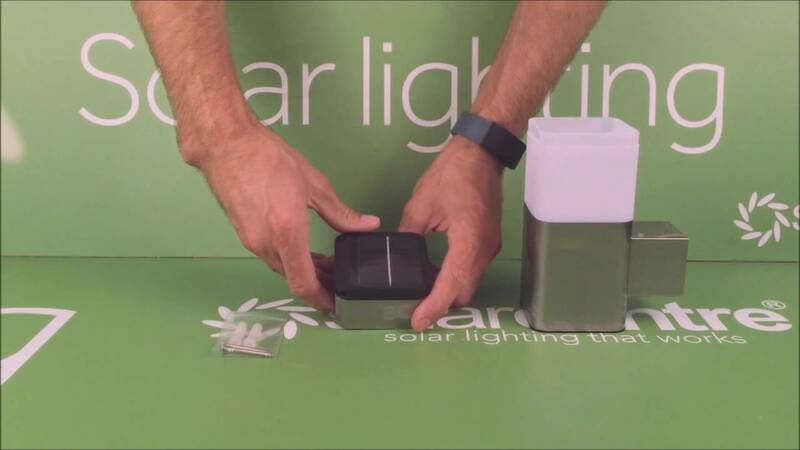 This is my second purchase from Solarcentre and Iâ€™m very happy with service and quality. I am using them as limit lights on the fence either side of my drive which is otherwise hard to see at night particularly when reversing the car. I was careful to let them charge for three days while turned off. They are lasting all night which is currently some 13 hours! Much better than I had anticipated. Very pleased with it - light seems to last for at least 7 hours. Very easy to fit to wall. 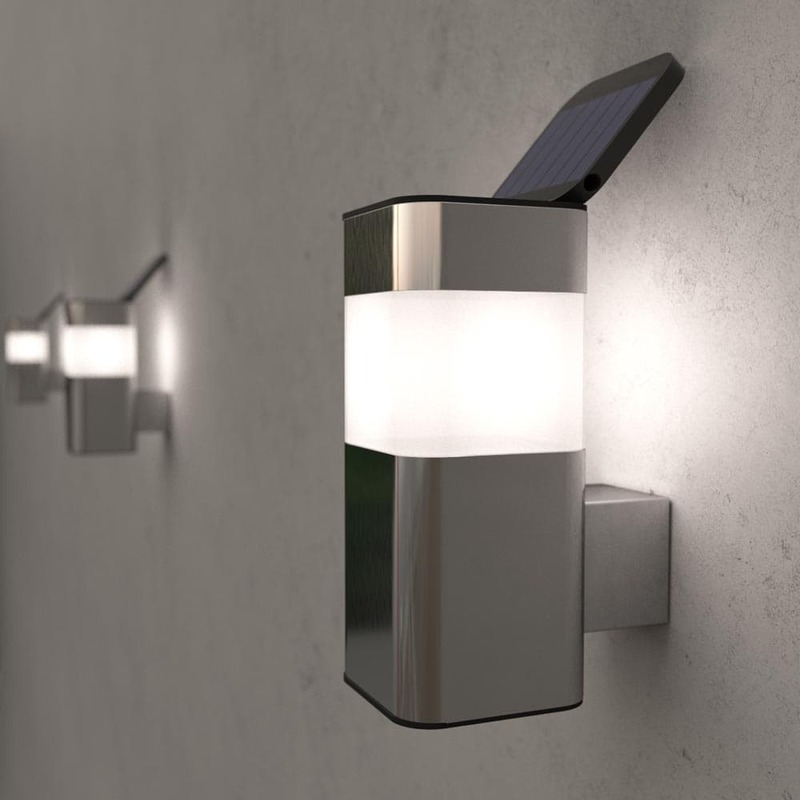 This beautifully designed solar wall light is perfect for contemporary settings where mains-free lighting is preferred. 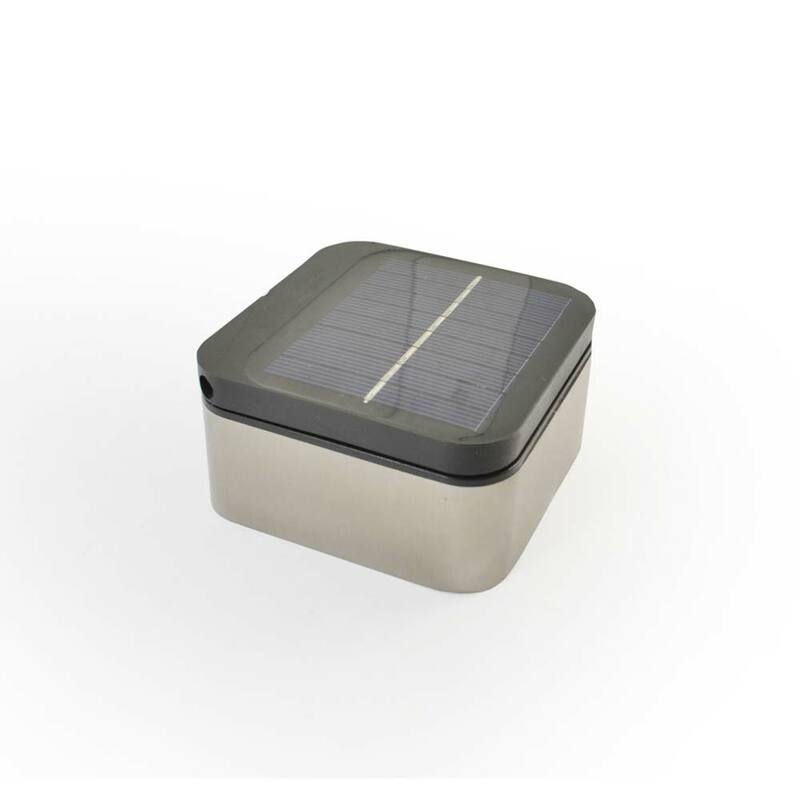 Using our latest EdgeTM technology, the Mini Kodiak's solar panel power can be doubled by deploying its second solar panel with a simple lift and twist of its top. 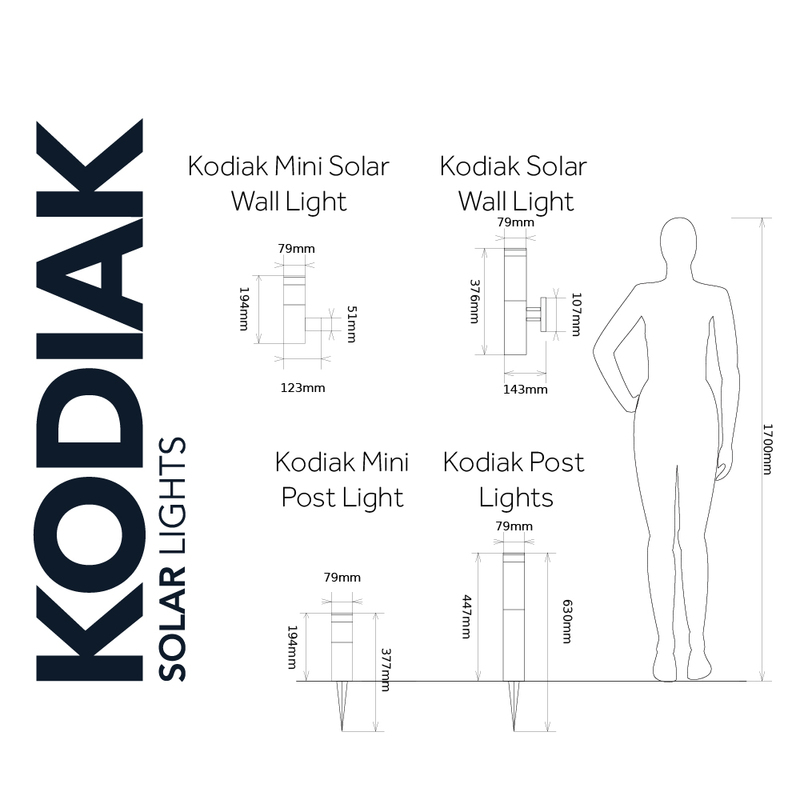 Designed for year-round use in the UK, the Mini Kodiak comes with Powersaving technology as standard which gives users the option to double run-time in return for a slight reduction in brightness. Can you please let me know if the lights have a sensor so they come on when it becomes dark OR are the lights on all the time? The lights charge in the day and are off, once it gets dark the lights stop charging and switch on. What is the temperature of the emitted light in K? Will the light. Charge sufficiently If attached to a north facing wall with a gable soft it above? 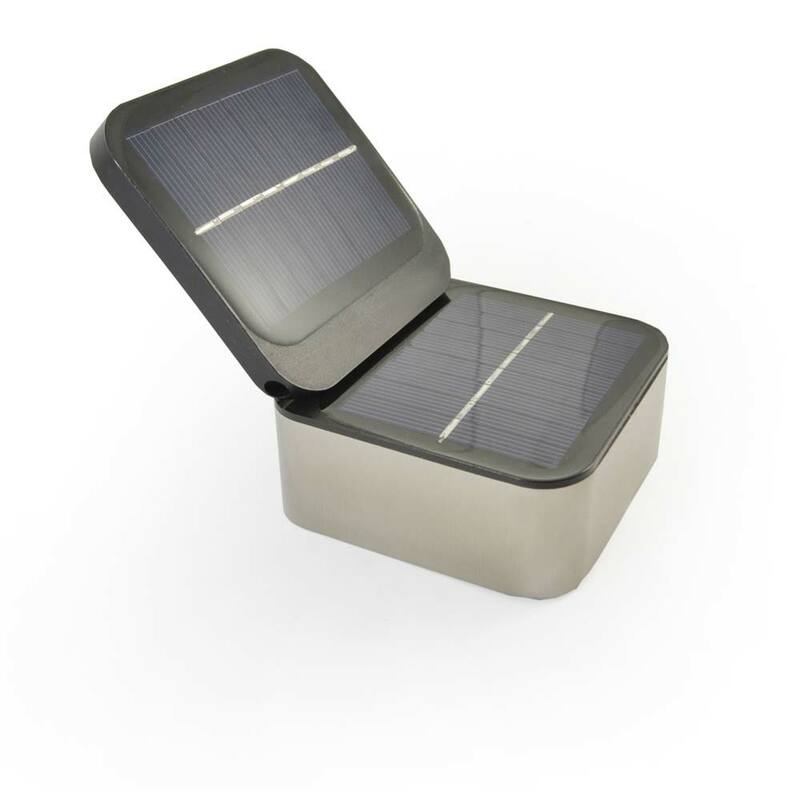 In summer months it would have a good chance but in the winter is very unlikely to get enough light to be able to charge. Until you try it you wouldn't know but we would not recommend it in the location you describe.